Rudolph Ganz (1877-1972) was an eminent musician and a champion of modern music. Throughout his long and prolific career as a pianist, conductor, composer, and educator, this Swiss/American musician represented an incomparable link between the old and new. Personal recollections included Liszt and Brahms and friendships with Busoni, Paderewski, Schweitzer, Toscanini, Theodore Thomas, Rachmaninoff, and Bartok. Ravel, Griffes, and Tcherepnin, among others, dedicated important compositions to him. His programs frequently offered first performances of contemporary music. As late as 1962, at age 85, Ganz continued to pioneer new music at the First International Webern Festival. This first biography of Rudolf Ganz not only fills an important and missing gap in the history of the "golden age" of pianism, but provides the first balanced appraisal of Ganz's tenure as conductor of the St. Louis Symphony Orchestra (1921-27). 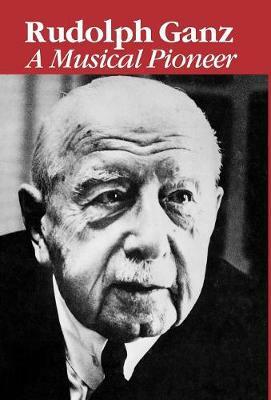 The author also traces Ganz's role as one of America's most imaginative and influential music educators. As conductor of the children and young people's concerts in St. Louis (1922-27), New York (1939-48), San Francisco (1939-48),and Chicago (1944-46), Ganz was responsible for introducing American youth to classical music during the early decades of this century. He extended his influence in education as president of the Chicago Musical College (1934-54) and a member of its faculty (1900-05 and 1928-69). The biography is illustrated and includes extensive endnotes and appendixes.